Technology alone is not enough. It’s technology married with the liberal arts, married with the humanities, that yields us the results that make our hearts sing. These were the words by Apple’s co-founder and CEO Steve Jobs. And even though it has been well over a decade since he made this statement. It still resonates well with every product that Apple develops. While Apple dominates the mobile ecosystem, it has still got some catching up to do when it comes to the personal computer business. But the matter of the fact is that even though Apple doesn’t have the numbers to dominate the market, it still manages to be the undefeated champion when it comes to making their products the most productive they can ever be. Every iteration of macOS that Apple announces at WWDC polishes and enhances the product even more. 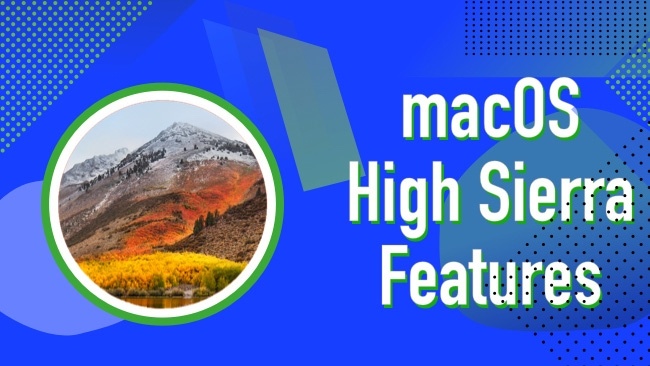 We will uncover all of the hidden/lesser known features of macOS High Sierra in this post, which will make your already productive Mac experience even better. So without further ado, let’s go over everything we will cover in this post. The biggest change to macOS High Sierra internally happens to be the introduction of a new and improved file system named APFS (short for Apple File System). New Macs equipped with macOS High Sierra will come with their disk already formatted to APFS instead of the now obsolete HFS system. APFS adds some seriously sick advantages to the OS. It comes with increased security and reliability in terms of day-to-day usage (not that yourself Mac wasn’t already reliable enough). The mostly noticed difference you’ll see with APFS would be the increased speed in file transfers. When you install High Sierra and switch to APFS by formatting your drive, you’ll have encryption enabled by default on your drive. This is not the same as the currently available FileVault option. APFS has more granular control as it can encrypt whole disk and individual items with separate keys for files and its metadata. Another improvement that the new file system will bring in would be better precision for backups. Currently, the file system time stamps file with a 1-second precision. With High Sierra, the precision is bumped up to 1 nanosecond. When married with Time Machine, this feature would result in faster overall performance. 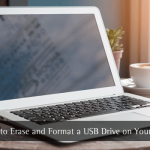 Other improvements include better space allocation in the sense that 2 APFS disks can borrow disk space from each other as and when they need it. 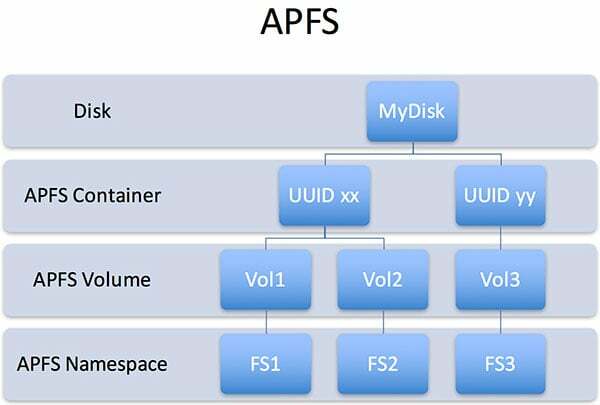 APFS happens to be the first file system designed for flash storage, its predecessor, the HFS+ was designed for spinning disks so APFS would be inherently faster. When you install High Sierra the installer will prompt you to upgrade to the new and improved file system. I would highly recommend you do that to bump up the performance of your machine. Another major update to macOS High Sierra comes into Safari. The default browser has been given some really helpful features to bring more convenience to users who don’t use Chrome (why though?). Have you ever been in a situation where you have multiple tabs open on the Chrome and one of the tabs starts yelling randomly? Well, now it won’t. Safari now comes with a feature that blocks all audio from websites unless you authorize it. Safari has also been improved significantly on the privacy front, earlier your searches on sites like Amazon and eBay were tracked and you used to get ads regarding the same, well if you’ve been creeped out by it before now you can relax as Safari will block cross-site tracking data so your weird hat searches won’t follow you around on the internet. Safari also enables persistence website customization. If you’ve ever gone to a site where things aren’t clear enough to you because of the terrible typeface, you’ll now be allowed to change settings on a per site basis and Safari would remember them for you so you don’t have to go over it again. The spotlight is one of my favorite and probably one of macOS’s best features. It allows you to quickly access files and information without having to open Finder or Safari. The spotlight was already great but with High Sierra, it gets some serious new powers. 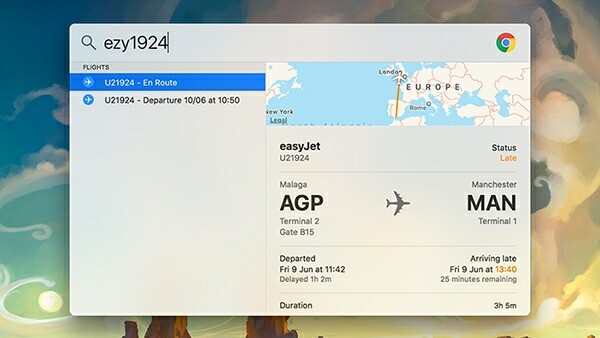 Spotlight is now capable of much more, it acts like a desktop version of Google. You can search for things that you would normally have to open a browser for. One of the more interesting features happens to be the ability to get gate numbers for flights by just typing in the flight number. As mentioned earlier, macOS High Sierra is more of an internal upgrade, there’s very little change on the surface. One of the areas where the machines will experience massive gains is the graph department. 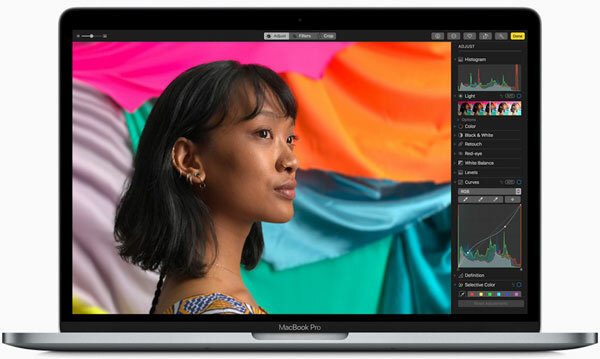 Apple claims a massive increase in the segment and all credits for this would go to the newly announced Metal 2, the underlying graphics technology for Macs and iOS devices. What this also brings to the table is native VR support. 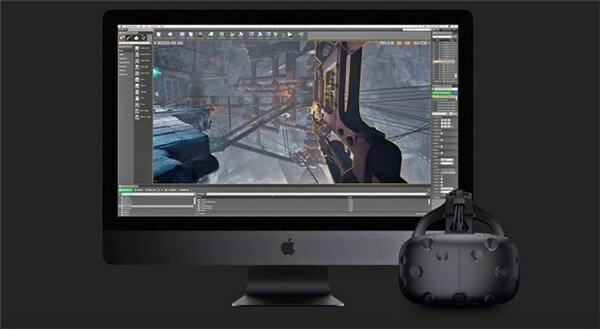 Till now VR users and developers had been cribbing about the incompatibility of macOS with most VR hardware including the popular Oculus. Metal 2 will most likely change that. Photos are the central location on your mac to access the photos you and your family take and share via your iOS devices. A major update came to Photos roughly 2 years ago but nothing much changed ever since. This year with macOS High Sierra, Photos gets a new sidebar with album sorting accordingly to media type. On the editing front, Photos can now edit a Live Photo into a GIF by making it loop. Another big feature here is the ability to edit in third-party apps from inside of Photos. For most users, the default Mail app on macOS is good enough for getting things done. But it’s literally been ages since that app saw an update. With High Sierra that finally changes. 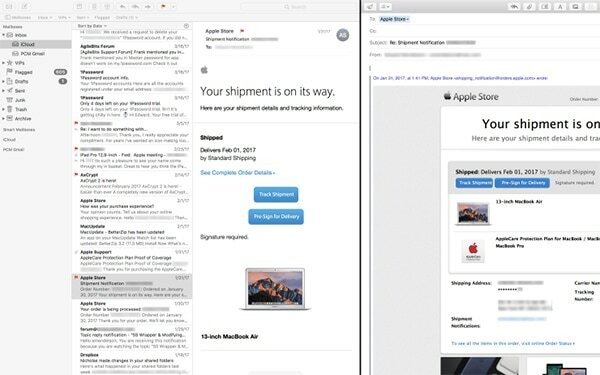 The new mail app now supports split screen viewing when it launched in the fullscreen mode. Now when you compose your email, the editor will stay right beside your inbox pane which is on the left. Last but not the least is a feature most people who find themselves sharing files quite often, find useful. Apple’s iCloud is now getting an advanced file sharing feature where you will be able to send links to files via a message or email and the recipient can view or edit the file. Nothing new or revolutionary here. It’s already possible if you happen to use Google Drive or Dropbox for that matter. All in all macOS High Sierra is gearing up to be a pretty significant release for bumping things up internally. If you read this article and want to try it out, you can sign up for the public beta and install it or else you can wait until September when Apple finally rolls out the stable release to the masses.